A new way to generate electricity in special materials called Weyl magnets has been discovered by physicists at the University of Tokyo. The method exploits temperature gradients, differences in temperature throughout a material. This could pave the way for maintenance-free remote sensing devices or even medical implants. 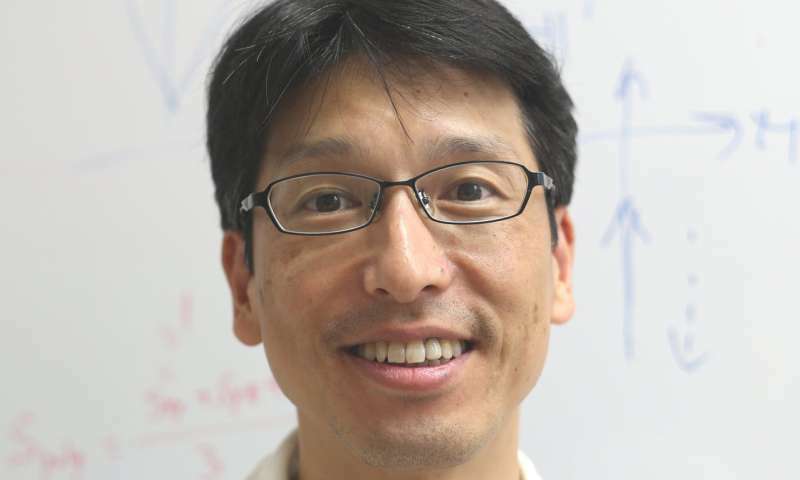 "Our method exploits a phenomenon called the anomalous Nernst effect which has never been used in this way before," says Professor Satoru Nakatsuji of the Institute for Solid State Physics. "I imagine this could be the power source for a new generation of low-power, low-maintenance electronic devices. We've created something engineers of small devices have been waiting for." So what is this anomalous Nernst effect and how could it lead to such a great leap forward? "The anomalous Nernst effect is when a magnetized piece of metal generates a voltage subject to a gradient of heat across it, so it's hotter on one side and cooler on the other," explains Nakatsuji. This is similar to a more established phenomenon called the Seebeck effect, which is responsible for power generation in thermopiles, the functional components of thermoelectric generators. These are used in deep-space probes like Voyager and New Horizons, amongst other things. With the Seebeck effect, the voltage is generated between the hot and cold regions of the metal in question, so it's parallel to the temperature gradient. The anomalous Nernst effect however generates a voltage along the length of a magnetized piece of metal, perpendicular to the temperature gradient. The researchers observe this effect in a special kind of metal (Co2MnGa) known as a Weyl magnet. This provides the first clear evidence for the existence of Weyl fermions in a material, elementary particles which give Weyl magnets their unique properties. And there are important practical implications. The devices are much simpler than those used for the Seebeck effect, thin films as opposed to pillar-like structures thanks to that perpendicular rather than parallel voltage. So they are flexible and can be made into a variety of useful shapes. "Our materials, being far more common and completely non-toxic also mean devices can be much cheaper to produce," says Nakatsuji. "Best of all, unlike previous devices, they're efficient at room temperature, so mass production of such devices is in our sights." There is a catch however, in that the method usually produces about 0.1% the voltage of the equivalent Seebeck effect system, about 0.1 microvolt compared to 100 microvolts, so we might not see this technology in space probes anytime soon. "However, we aim to make our method comparable with the Seebeck effect in terms of efficiency," says Nakatsuji. "And even before then, given the other advantages, this technology could see rapid widespread adoption." Since the discovery of Weyl magnet thermopiles in 2015, which exhibit the anomalous Nernst effect, there has been a thousandfold increase in their power-generating efficiency, with this recent finding alone observing 8 microvolts per Kelvin, a whole order of magnitude increase over the previous maximum reported value of about 0.1 microvolt per Kelvin. Engineers continually strive to improve the power efficiency of devices and the sources which provide that power. A general aim is to create functional devices, such as sensors, which could be put to work and then left alone without the need for maintenance or replacement batteries. They would generate power with their own Weyl-thermopile devices by use of ambient or waste heat or maybe even sunlight. Computer scientists may also be interested in these findings as Weyl magnets may be useful in future high-speed, high-density data storage technologies. The study is published in Nature Physics.